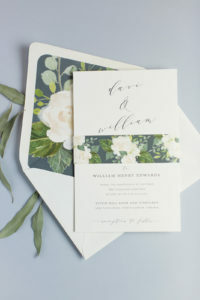 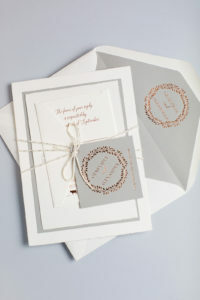 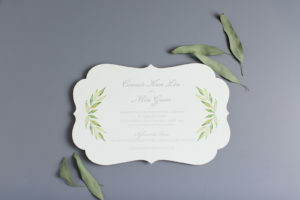 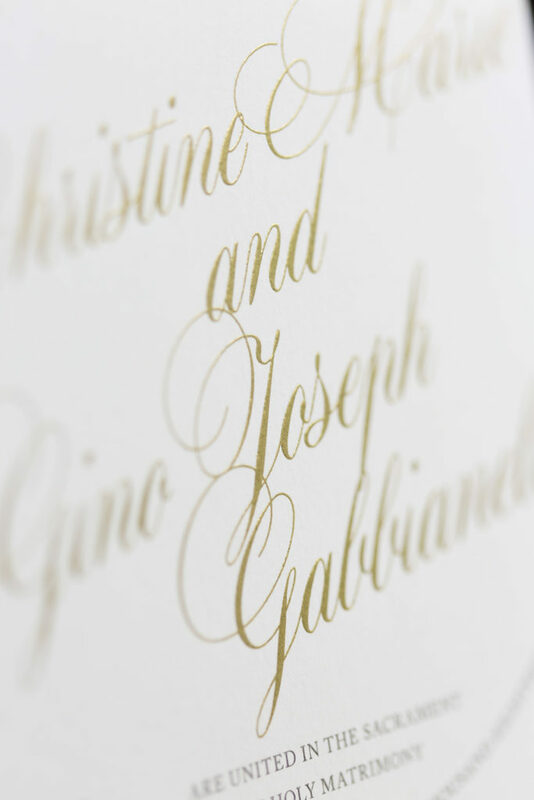 Christine and Gino selected a modern invitation from Designer’s Fine Press. 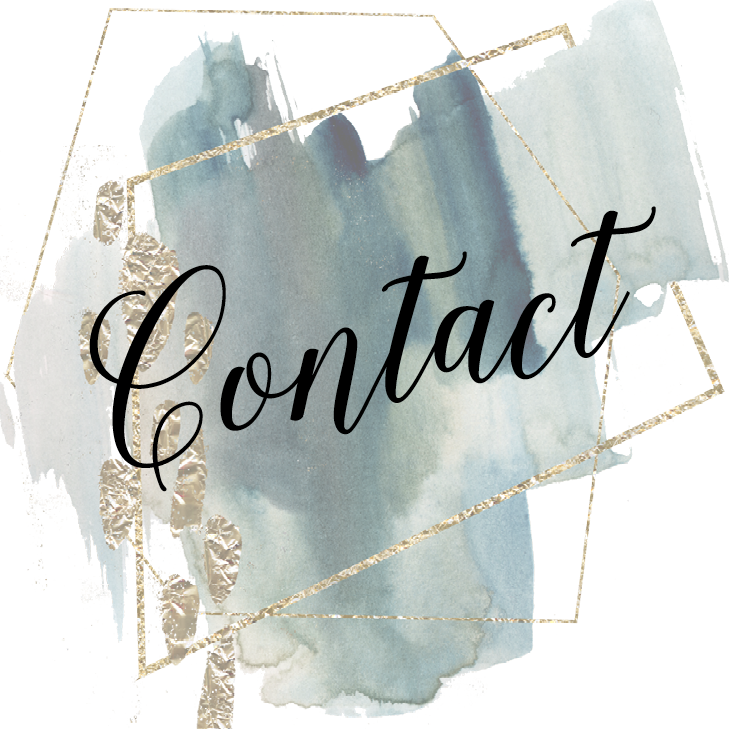 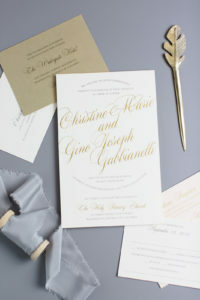 Oversized script for their names is set on a fun angle and perfectly accented with rounded lines of text. 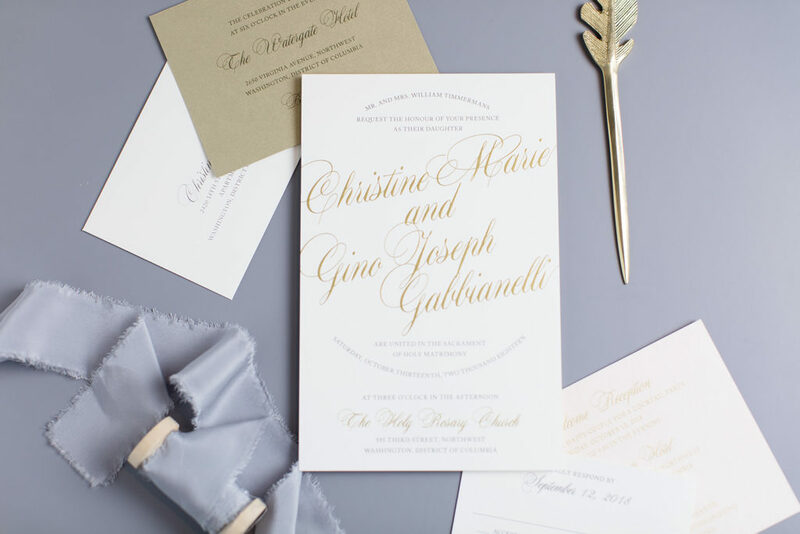 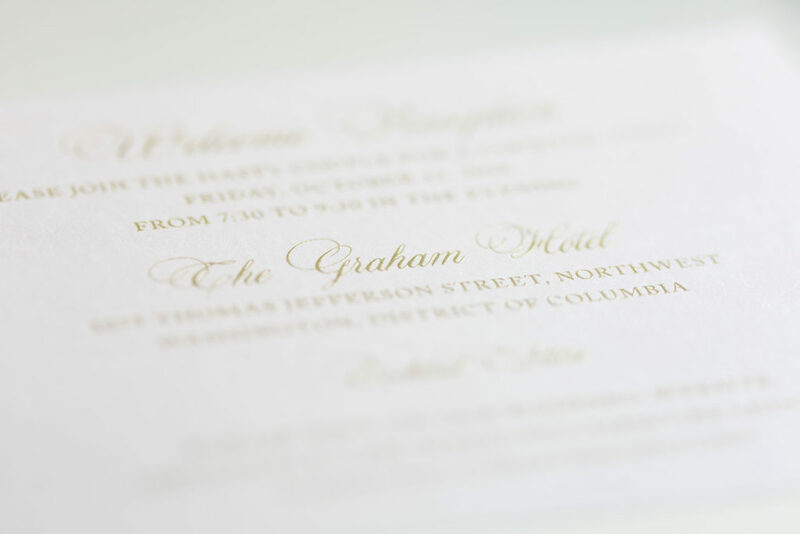 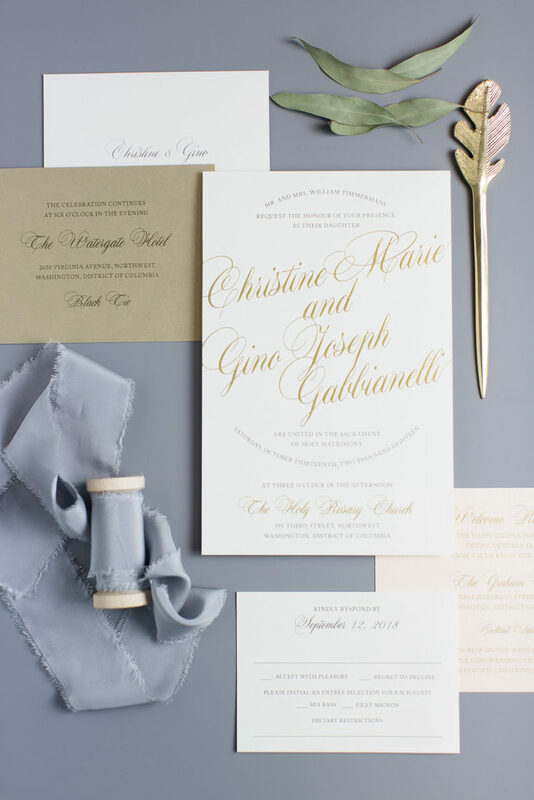 The gold and gray thermography is paired with a gold reception card and a blush insert.